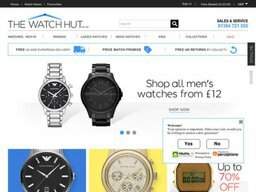 Founded in 2005, The Watch Hut is the UK’s largest online retailer of one of the largest collections of authentic timepieces online. 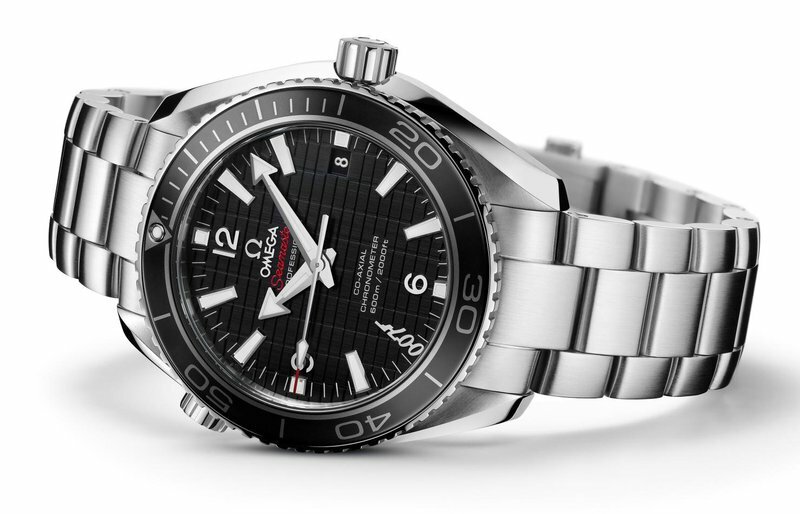 The Watch Hut UK offers a wide range of exquisite watches for men, women and children. Housing a large variety of timepieces from all the leading industry manufacturers and designers, The Watch Hut has something for everyone to ensure that no matter what the occasion, you will always be on time. And what's even greater, is that The Watch Hut discount code is a great offer for shoppers, it helps to save even more on your next purchase. Get Spectacular Discounts at The Watch Hut! 1) Add these items to your bag by selecting the Add to Bag’ option under the picture of the items. 2) You will be redirected to a screen which will allow you to either continue shopping, or prompt you to proceed to payment. 3) Towards the centre of your screen you will see a section titled Promo Code’. Enter your The Watch Hut promo code in the text box and hit Apply Code’. 4) Select the delivery option best suited to you. 5) Select Pay Securely’ at the bottom of the screen. 6) You will be prompted to sign up with The Watch Hut if you haven’t already, or alternatively pay with your PayPal account. It is said that nothing is more precious than the gift of time. The Watch Hut has a neat, handy tool called ‘The Gift Finder’ to help you pick out the best possible gift option. Their Gift Finder tool collects your watch preferences based on a number of criteria such as gender, type of strap, colour of strap, colour of dial and so on. Based on your preferences, The Watch Hut does a great job of recommending the best possible designs for you. The Watch Hut only showcases the best brands on the market to help you make the strongest possible fashion statement. The Men’s section includes brands such as Armani Exchange, G-Shock, Seiko and Citizen. Women’s wear includes brands such as Casio, DKNY and Gucci. The children’s section includes brands such as Lorus, Sekonda and Tikkers. There are also great designer brands on display such as Michael Kors, Marc by Marc Jacobs and Skagen. No matter what kind of watch you are looking for, you'll find it at The Watch Hut. In order to stay ahead of the competition, The Watch Hut does everything in its power to beat any competitors’ prices. This is why they instituted a price match policy on all their items. In order to qualify for a price-match, you will be required to submit a link to the competitor’s website with the deal you want. Upon completion of the verification process, The Watch Hut will contact you to arrange for the balance amount to be refunded to your account. If you’re trying to avail of a price-match post-purchase, please remember to contact The Watch Hut within 7 days of purchase. The Watch Hut has a neat “Watch news” section to help shoppers stay on top of the most recent trends. It does a great job of steering you in the right direction by providing you a host of articles that describe which watches would suit you best. For those of you who just want a quick recommendation of the best options out there, The Watch Hut also offers a Head Buyer’s Pick of watches that are currently popular in each category. Additionally, you can also sign up for their newsletter to ensure that you don’t miss out on the latest products, offers and trends. The Watch Hut offers next day delivery to almost every location in the UK. Orders above £60 that are placed before 3pm on Mondays to Saturdays, and before 1pm on Sundays are guaranteed next day delivery. Orders under £60 are also usually delivered in one business day, but can take upto 2-3 business days. Customers can pay an extra £2 to guarantee next day delivery if their order value is below £60. International delivery, which usually takes 2-10 working days, is free to most countries, although some non-EU countries may incur a delivery charge. The Watch Hut also allows a 30 day return policy, provided the returned item is in the same condition you received and has all of its original packaging. Remember to use The Watch Hut discount code and save money while purchasing precious watches.